3D printing technology has been part of the discussion for at least a couple of decades, and about ten years ago the first 3D printer was designed and released. This machines have amazing capabilities and can print almost everything from hardware and toys to food and housing. Today, 3D printers occupy relatively small niches and are mainly used to print product prototypes, custom phone cases, detailed toys and figurines, various cosplay materials, figures for board games (Warhammer 40000, for instance), etc. And after hearing about astonishing 3D printers capacities, you decided to buy one or just planning to use this technology to print some product or simply want to know more about 3D printers, then this article is for you. Today, we unveil the curtain of what stands behind additive manufacturing and introduce you to ten things which are necessary to know before dealing with three-dimensional printing. Modern market is full of a variety of 3D printers with diverse specifications and requirements that work under different technologies. Let's discuss three the most common approaches to additive manufacturing. It's the most popular 3D printing process which works on a principle of placing material layer by layer. FDM printers use a thermoplastic or metal spool of filaments and apply heating to release the filament of a material to put down layers that echoing the shape of the model. Fused Filament Fabrication (FFF) is also a widely used term that literally means the very same method of 3D printing and was invented by the RepRap initiative in order to patent and legally used this technology. It's also known as Plastic Jet Printing (PJP). FDM printers are universally available and considered to be relatively not high priced. Such printers involve using photosensitive liquid substances as a basic material and work with ultraviolet light in order to release molecules and link them together, forming a solid 3D object. Stereolithography is also called Optical Fabrication or Rapid Prototyping. It's suitable for prototyping, creating models or patterns since SLA is distinguished by the amazing precision of all the details. On the other hand, it allows using a very narrow range of possible materials and is unsuitable for printing organic and metal. Moreover, stereolithography printers are at least twice more expensive than FDM ones and a bit more difficult to found. SLS is slightly different from SLA printing technique in choosing the basic working material which in turn leads to the use of other 3D printing technology. SLS printers engage a laser as a source of power that is focused on a specific place in space according to the 3D model parameters. Such printers work with powder materials, mainly metals, and use a laser to melt the powder and bind its molecules into a solid model. This technology is mainly used to print metal objects. The choice of technology depends on a desirable material and the amount of funds that you are willing to spend on manufacturing. Besides, despite the fact that 3D printing features high details accuracy, some devices in more or less degree do not allow you to print fine details. That's why before choosing a 3D printer for further purchasing or printing, you should consider the points made above. Let's pay a bit more attention to the prices and materials used to print objects. This point will be mainly interesting for the ones who are going to buy a 3D printer or just interested in its pricing policy. Well, the prices of three-dimensional printers depend, for the most part, on a quality of the end-product. Generally, professional and the most expensive ones can produce the higher-quality objects and their price mainly starts from $2,000. However, the price also depends on the type of raw material and the printing technology. FDM printers are the easiest to find at the market and use at home or in a small office. In general, the lower the price is the more limitations the printer has in terms of the size of final object and materials involved. But, if you don't want to spend a lot of money and prefer to purchase a relatively cheap printer as an introductory device, you can easily find a small printer that will cost you about $100. Nevertheless, the 3D printing technology gains more and more popularity among consumers, and thanks to that prices on 3D printers went down while the printing quality enhances. In addition, do remember that printing devices don't come along with the materials used in a printing process. These components should be purchased or collected separately according to printer and model requirements. Despite the fact that innovators found a way to think-out-of-the-box and print chocolate and pasta, today the devices available for customers have a comparatively narrow range of materials to use. Most popular models involve FDM technology and use different thermoplastics to print solid objects. We would like to examine plastic as an example, so you can see what dangers await you at this step. One of two most popular materials is Poly Lactic Acid (PLA). This material is derived from corn starch and possesses good temperature characteristics (can be cooled or heated quickly). PLA is eco-friendly and presented in solid and translucent colors. This material is perfect for newbies to deal with. However, since it possesses low melting characteristics, the output can contort under high temperatures. Besides, it's not the best options for models that have joints or moving parts. The second material we would like to mention is Acrylonitrile Butadiene Styrene (ABS), a petroleum-based thermoplastic that became popular thanks to its flexibility and durability. Moreover, ABS won't likely be deformed under heat because it's resistant to high temperatures. Furthermore, it can be used to produce a solid object with interlocking parts. On the other hand, at the output, ABS-based models take longer to cool after printing. It's obligatory to know decide on a suitable material before buying a printer or choosing one for future printing. Some printers can work with a range of materials, some, on the other hand, accept only one type. When it comes to preferred filament size, it's really up to the printer specifications, 3D model quality, and personal preferences. Most printers go with 1.75 mm filament size, however, 3 mm is also quite common and more tolerant with hardware shortcomings. But you need more force to push 3mm filament into the hot end. The nozzle size affects the horizontal resolution of the print. The most popular nozzle diameters are 0.34 mm and 0.4 mm. Each size is better in some situations. For example, if you need to print the 3D object fast, it's better to choose bigger nozzle since it reduces the overall number of layers thanks to thicker string. Smaller nozzles, on the other hand, ensures the smoother finish of the final prototype. It's possible to create a 3D model in a wide range of software both free and commercial like Maya, 3ds max or Zbrush. Besides, as you already know the type of raw material is also important and affects the modeling process. When it comes to 3D modeling, you should pay attention to many details and limitations. For instance, take into consideration printer type, printing technology, and physical qualities of the raw material. This also means that you should create a 3D model with physically correct characteristics. If you are not familiar with modeling processes and material guidebooks, you should better entrust this work to professionals who are experienced in 3D modeling for 3D printing. Just provide them with all necessary information about printer type and model, material that you are going to use while printing and the outlines of the overall idea (sketches, pictures, photos). The name of .STL file extension does not come from stereolithography printing technique. It stands for Standard Triangle Language and became a worldwide format supported by all 3D printers. Basically, the term 'Standard Triangle Language' means expansion of the modeled object into triangles in three-dimensional coordinates. STL file is required in order to print any 3D model. This file with full information about the model can be uploaded, recognized and proceeded by the printer in a matter of seconds if everything is done according to industry standards. The printer inspects the information received from the STL file and places the pin of the printer which moves along X, Y and Z axes in order to create an object layer by layer to the appropriate point in space according to the model coordinates. In addition, professionals don't recommend to exceed the 100MB file size. Even if you make everything right with a 3D modeling and compile the correct STL file of the model, you will still need an appropriate software installed. Such programs known as 'slicing software' will explain the printer how to produce the model you uploaded on the language it understands. This software provides exhaustive information about the number of layers, the solid parts of the prototype and hollows, and also the starting position of the print bed. Some companies produce printers that have an inbuilt slicing software or such program come along with the printer. For other printers, you should choose the right software on your own or consult with a community what the best choice is. This point should be noted by the ones who are going to buy a printer or looking for a 3D printing services. Printing quality is one more point that should concern you in three-dimensional printers. To receive a high-quality prototype, you should take into account resolution and printing speed. Print resolution indicates to the level of detail that printer can ensure. The smaller this parameter is, the more detailed object you can create. Print speed refers to the speed of extruder movements. Generally, printers with high print speed characteristics print faster than others. Moreover, there are other factors that may affect the print quality, for instance, slow down the print speed or change the output. These elements can include the material characteristics (some materials cool slower that can cause deformation or blur the details) or default settings when a change of speed is required and printer reacts by acceleration to higher speed and vice verse. Eventually, the best way to judge about the print quality of a specific printer is to carefully examine the final output. If you are going to buy the printer, you should better Google some images and photos of a final product. If you're just looking for the printing services, consult the representatives and look at company portfolio to determine the most suitable printer. Three-dimensional printers as any other manufacturing devices are fraught with specific safety problems to which you should pay special attention. When it comes to working with any 3D printer, precautions must be taken to avoid accidents. For this reason, before purchasing the printer examine all available instructions and possible problems that may arise and follow the rules of operation. We prepared a small brief description about some notable issues. One of the most important things you should pay attention to is high temperatures of materials you are working with. Due to the fact that a majority of 'domestic' printers work with heated plastic, some external parts of the printer can get extremely hot. For instance, print bed, extruders and the plastic itself. These parts can be a cause of dangerous burns in cases when you aren't careful. Most large printers have an inbuilt protective glass around the print area, however, many small ones have an open area. That's why with that type of 3D printers, you should take extra precautions. Moreover, 3D printers require a well-ventilated space due to the fact that during the printing process some printers accumulate fumes, especially when ABS plastic has been taken as a raw material. There is no much research about the impact of these fumes on general health and there is no final option on that matter. Still, it's better to protect personal health and safety by taking extra precautions. In addition, the plastic you use can be dangerous for your well-being and welfare. 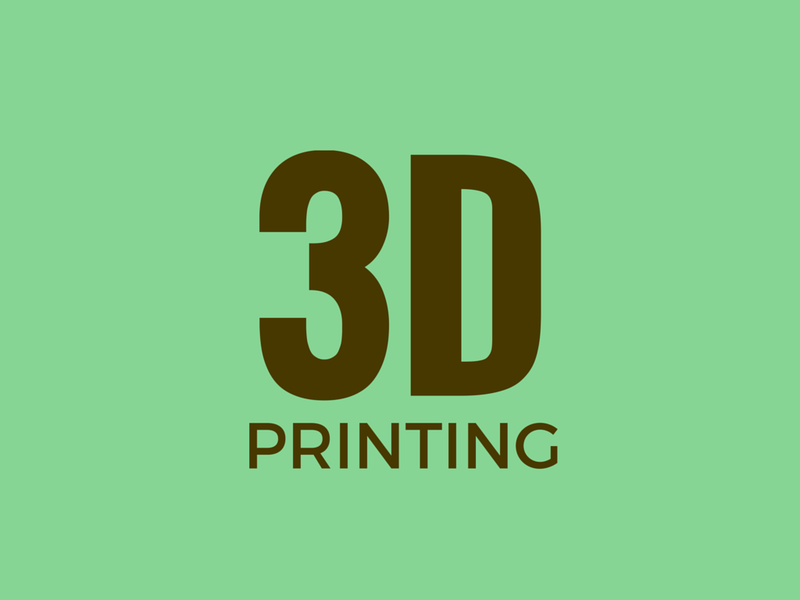 Think about it, 3D printing industry has reached the point when three-dimensional printers are used to create many household hardware and kitchenware, in particular. The two most popular thermoplastics mentioned in this article Poly Lactic Acid and Acrylonitrile Butadiene Styrene are considered to be safe, however, it's only in case they are of a good quality. If you buy a substandard plastic no matter on purpose or accidentally, this material can include additives that may be unsafe. Another problem is that most printers work under FDM technology and can produce the items with not smooth enough surface that is a perfect condition for collection of bacteria. In some cases, this problem can be solved by coating an item, however, it's still not completely safe to use printed kitchenware. We guess it's not a secret for everyone that 3D printing industry is a field for investment. The world considers three-dimensional printing as the future of manufacturing and even humanity. Thirty years ago people didn't even think about having printed hardware, but now it's everywhere. The majority of 3D printers use plastic or metal material to produce items, but it's also possible to use a generous amount of other primary products, including food. Such devices are capable of creating almost every dish from cookie to pizza. These machines use fresh components that were prepared just before printing. 3D printers is also an area of interest of a Health Care industry. For example, this technology can be used in prosthetics to create custom prostheses that will be individual and fix perfectly for a specific patient and in surgery to conduct operations that now seem impossible. Moreover, humanity organized a housing initiatives in order to provide poor families with relatively cheap houses in countries like China and Netherlands. Besides, in areas where natural disasters have happened, such as a tornado or earthquake, and people lost their homes, such shelters will be a perfect option. In addition, Science and Education are particularly interested in implementation of 3D-printed models and print devices in order to improve educational and research process. 3D printing apps are recommended for children as a part of their study process. Finally, 3D printing can play a significant role in further space exploration, for example in long-term space missions as a part of a spaceship 3D printer can produce and replace the damaged or lost part of the ship according to the design sent from the control center. Although 3D printers aren't very common like PCs, people can observe an express grow in the technology and quantity of devices itself. Many industry experts name 3D printing industry one of the most perspective trends for the upcoming years. While it's easy to predict the areas where 3D printers will become a usual device or a part of a process, some industries are still keeping themselves aloof and probably wait for some kind of a revolution to include 3D printers in their techniques. 3D printers have all chances to revolutionize manufacturing (actually, they have already started doing this) and become one of the most important inventions of a human being. Victor Terekhovskyi is a marketing specialist at Program-Ace. It is an R&D company that provides a full circle of IT services located in Kharkov, Ukraine. Our team specializes in development of 2D/3D games and apps, custom web solutions and mobile applications. The qualified experts of Program-Ace combine a unique experience in complex web systems and 3D related fields.